Special students at UW-Stevens Point (excluding high school students) should fill out the UW-System application for Special student admission. High School students who wish to take college courses please refer to the Early College Credit Program. The Timetable of classes for each semester may be viewed online at http://www.uwsp.edu/regrec/Pages/timetable.aspx​​. Special students register for classes on a space-available basis. Seat availability information by course is available online. Unless they are currently attending high school, special students must have graduated from high school or its equivalent. Students under the age of 21 without transfer credits must meet current new freshman requirements and provide a copy of their high school transcript to demonstrate that the criteria have been met. Transfer students must have a cumulative GPA of 2.00 or higher. Some record of previous academic work may be required to establish academic eligibility. Special students may attend summer school without establishing academic eligibility. Before enrolling in English or math courses, special students must take English and math placement tests. Placement tests are also required for students taking advanced foreign language courses. All students, including special students, must pay a $100 registration deposit before enrolling in classes. Special students do not indicate majors, and they are not assigned faculty advisors. Appointments may be scheduled with the Student Academic Advising Center if advising is needed. 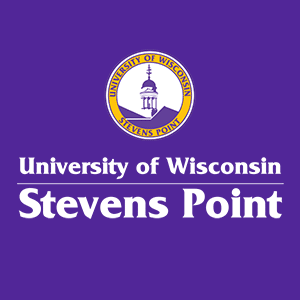 Special students have the privileges of other registered students, such as access to the Learning Resources Center, recreational facilities, health services, etc., when they obtain a valid UWSP student ID from the PointCard Office. Special student may change status to a degree-seeking student by completing the UW System application for admission, submitting transcripts and ACT scores (if required), and paying the application fee. Please contact the Office of the Registrar by email or phone (715-346-4301) with questions regarding special student status.